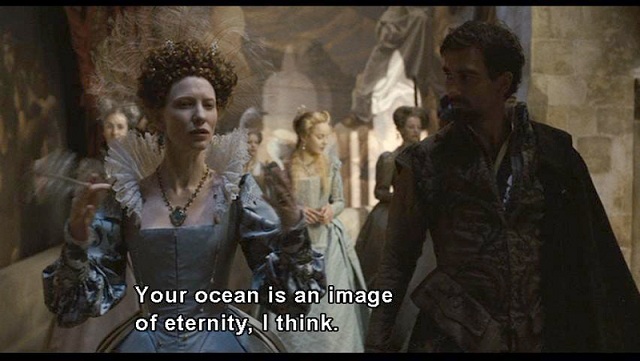 In honor of Neptune moving into Pisces, the words from a scene in "Elizabeth: The Golden Age" that evoke the wonders of Neptune. Walter Raleigh describes crossing the ocean; Elizabeth listens, mesmerized. Walter Raleigh: Can you imagine what it is to cross an ocean? For weeks you see nothing but the horizon perfect and empty you live in the grip of fear… fear of storms… fear of sickness on board… fear of the immensity. So you must drive that fear down deep into your belly, study your charts, watch your compass, pray for a fair wind – and hope… pure, naked, fragile hope. At first it’s no more than a haze on the horizon. So you watch… you watch… then it’s a smudge… a shadow on the far water for a day… for another day… the stain slowly spreads along the horizon, taking form, until on the third day you let yourself believe… you dare to whisper the word: land… land… life, resurrection, a true adventure, coming out of the vast unknown out of the immensity into new life. That, your majesty, is the new world. Queen Elizabeth: I like your immensities. Your ocean is an image of eternity, I think. Such great spaces make us small. 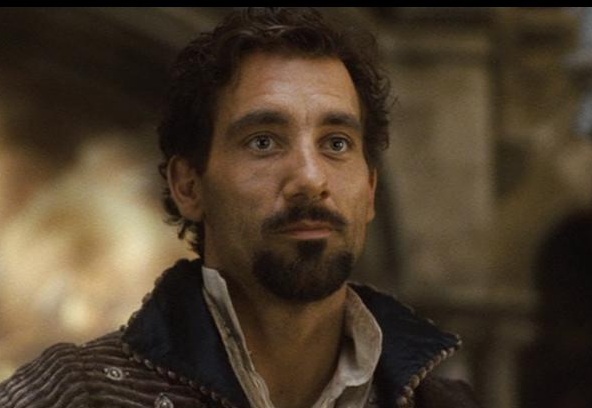 Do we discover the new world, Mister Raliegh, or does the new world discover us? Posted on February 4, 2012 by Shawn Nygaard and filed under popular culture, symbolism.